Pie Five Pizza is one of the many super fast-casual pizza concepts looking for space in the D.C. market, and they’ve hit on their first location: L’Enfant Plaza. Dallas-based Pie Five Pizza Co. will be developed here by franchisee Alyse Cohen of ALC Hospitality. Cohen plans up to 38 Pie Five locations in the D.C. area. Three other L’Enfant Plaza leases were also signed this week, according to The JBG Cos., which owns the mixed-use development with a lower-level shopping plaza. Pie Five will be joined by another D.C. debut, Green Beans Coffee. The coffee shop got its start opening near military bases in foreign countries, aiming to provide “the comforts of home” to men and women in the military. 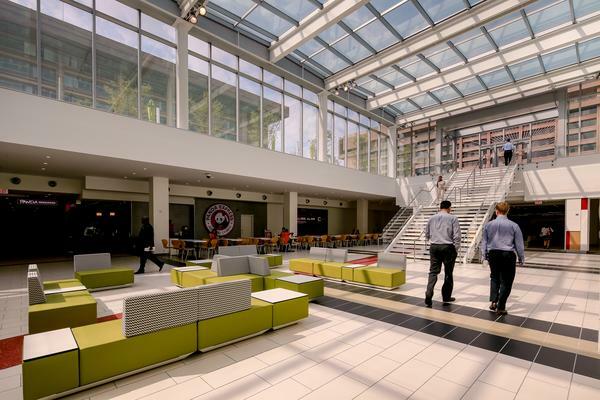 Fast-casual Mexican chain California Tortilla and juice and smoothie purveyor Jamba Juice will also be among L’Enfant Plaza’s new restaurant offerings. This article by Rebecca Cooper originally appeared in the Washington Business Journal on September 19th. Please read the entire article here.